I first read Assata by Assata Shakur about ten years ago, I think. Not sure what prompted me to read it, but I am so happy that I did. Recently, the United States seems to be developing this new relationship with Cuba, and the first person who I thought about was Assata, and I figured that I needed to read this book again to refresh my memory about Assata and her story. Assata was a member of The Black Panther Party, and according to Assata, the FBI and the CIA were determined to completely shut down the Black Revolutionaries. 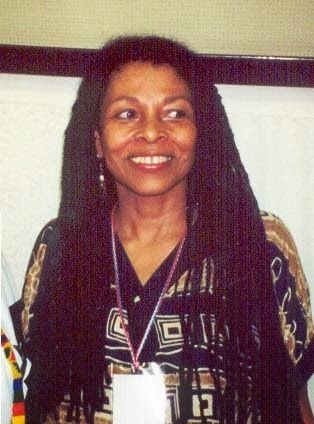 Assata was in the car with two other Black Panther members, and they were pulled over supposedly for a taillight issue. Something transpired and one of the Black Panthers members and a cop were killed, Assata was shot, and the other member of The Black Panther party was on the run. After this incident, Assata was mostly kept in solitary confinement for years and was tried for armed robbery, several bank robberies, kidnapping of a drug dealer, murder of a drug dealer etc. She was not convicted of any of these crimes; however, she was eventually convicted for the murder of the police officer and escaped from prison to Cuba to became a political refugee. Now, this book is captivating from the very first page with a foreword written by non other than The Angela Davis. I've been rushing home every day this week to gobble up every word of this book! Reading this book, I thought a lot about the FBI and the CIA....How could a government turn against its people? We know that the FBI and the CIA harassed Dr. King, and so I want to believe Assata when she states that she was harassed and was tried for crimes where she was not even present. I want to believe that these type of things could not be going on today. I thought a lot about Assata and all that she endured, and she survived with a sound mind: "Whenever i tired of the verbal abuse of my captors, i would drown them out by reading the poetry out loud. 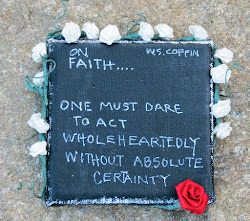 "Invictus" and "If We Must Die" were the poems i usually read....The poems were my message to them." I thought about the idea of being a political refugee with no hopes of ever coming back on US territory again. Assata may not want to come back, but I think that I would struggle with the idea that I could not come back. I thought about how in the world did Assata get this book published???? 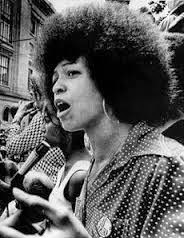 I thought about how in the world did Assata escape from prison???? Assata ends the book with her mom, aunt, and daughter visiting her in Cuba. Now how in the world did that happen????? "To win any struggle for liberation, you have to have the way as well as the will, an overall ideology and strategy that stem from a scientific analysis of history and present conditions." "One of the hardest lessons that we have to learn is that the revolutionary struggle is scientific rather than emotional. I'm not saying that we shouldn't feel anything, but decisions can't be based on love or anger. They have to be based on the objective conditions and on what is the rational, unemotional thing to do." My People, read this book and learn.. Knowledge is Power!! I'm going to completely switch gears, and read Housekeeping by Marilynne Robinson.